Okay, so I had been aware that vegans all over the internet had discovered that it was possible to make meringue out of the juice inside a can of chickpeas (drained from the chickpeas). However, I was a bit skeptical. I didn’t think it was easy. But I finally got the courage to try. 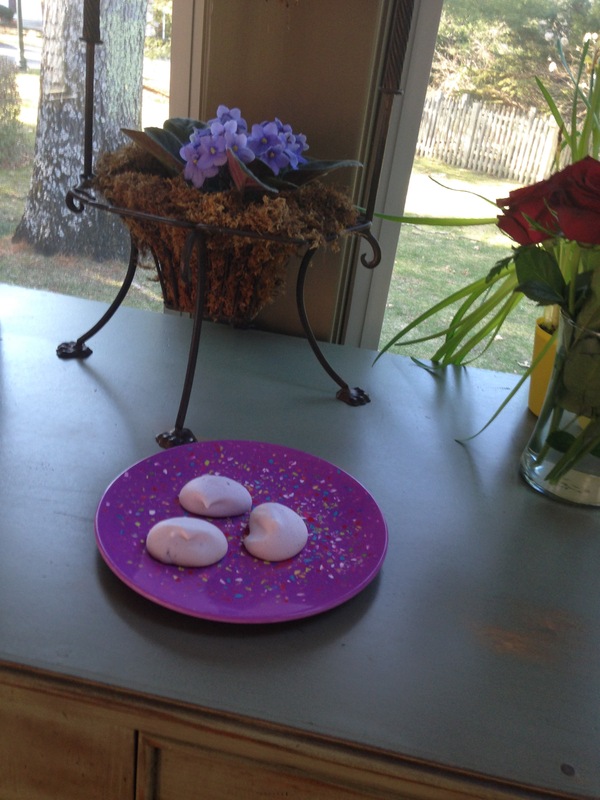 It was a beautiful day out, and though I’m not sure it’s the same for vegan meringue, I remember as a kid when my mom would make my grandmother’s famous real meringues, they wouldn’t come out well if it was rainy or humid. Apparently that’s an actual thing. So, thinking to myself that it was the perfect day, I decided to make them. I took a bit of artistic license to this recipe. That recipe uses white beans instead of chickpeas and doesn’t have a flavor. I personally cannot taste the chickpeas in the recipe I created, but it’s probably because I added stuff to it. The strained juice of a 15 oz can of chickpeas minus one tablespoon. In a large mixing bowl, pour the bean juice, sugar, lemonade, and blueberry juice. With an electric handheld mixer or whisk attachment on a stand mixer, begin to whisk together the ingredients in circles around the sides of the mixing bowl. Continue to mix until thick and fluffy. The time varies a lot. It took mine 10 minutes to get to the perfect point, but I had my handheld mixer on the highest setting (5) and I’m not sure how other brand mixers may work. See picture for reference. When thick yet fluffy with peaks, add in the extracts and give it about 2 minutes of remixing again. Lay some parchment paper on several baking sheets. 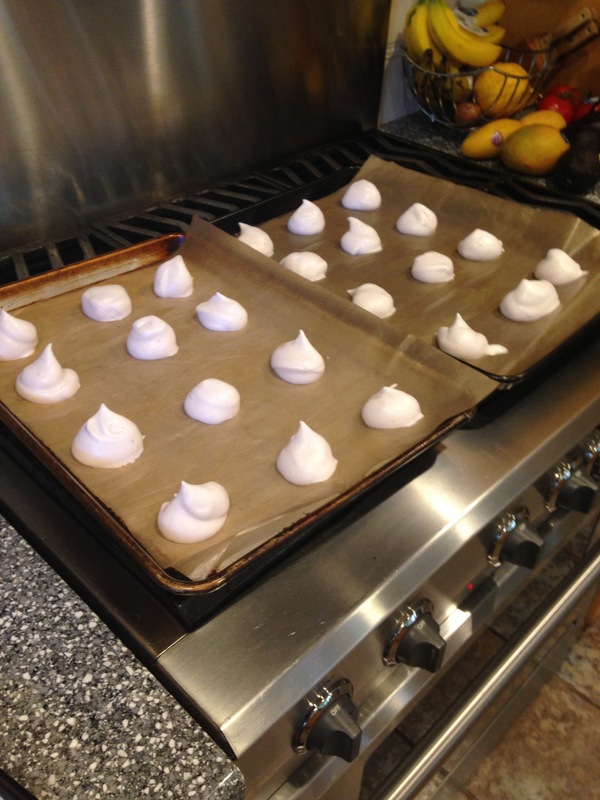 Take a spoon and add dollops of the meringue onto the sheet, like cookies only with a more liquid batter. They will come out looking prettiest if you try to make them look like chocolate kisses. You know what I mean I hope…I can’t describe it any other way, haha. Place in the oven for an hour. After an hour, check them. The baking sheet that was on the bottom rack was done at this point. If you poke them with your finger they should be stiff and not make a print. It took about an hour and 15 minutes for the rest of my meringues to be done. If they’re not done after an hour and 15, check in another ten minutes, and then more frequently after that if they’re still not ready. Allow to cool on the sheets for at least 15 minutes. You’ll want to eat them, and you can enjoy almost as many as you want, I calculated that they are only about 10 calories each…depending on how big you make them (I made 34). Store them (if you have any left) in a sealed container to try to prevent them from getting too moist. I personally like them a bit soggier and chewy, though! 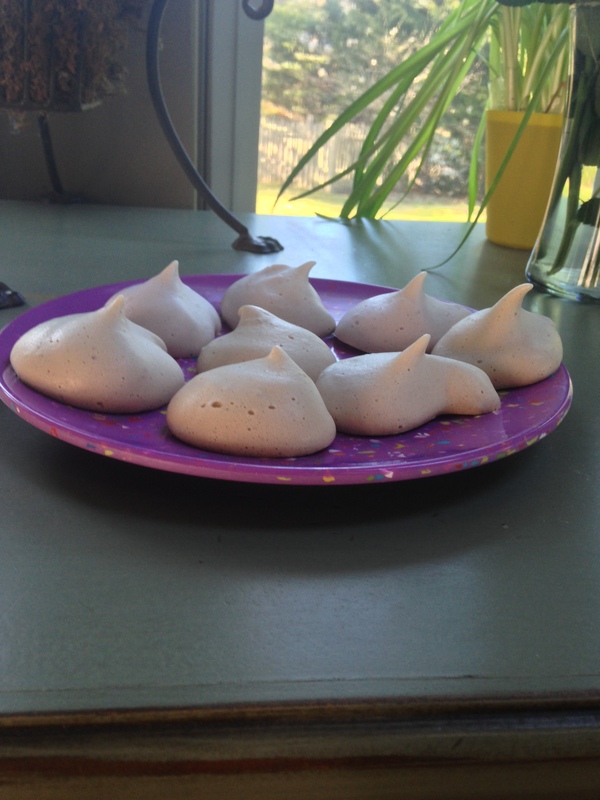 Meringues were big in my family growing up, as I mentioned above. Check out more childhood favorite recipes that I veganized in my zine, on etsy! Those look wonderful! I’m so glad that you liked my recipe. Bean juice really is magical stuff. I’m super impressed with what folks are making with it! Yaass lavender! These look awesome, I’m visiting a lavender farm this weekend so I’ll have to pick up some extract to make this. 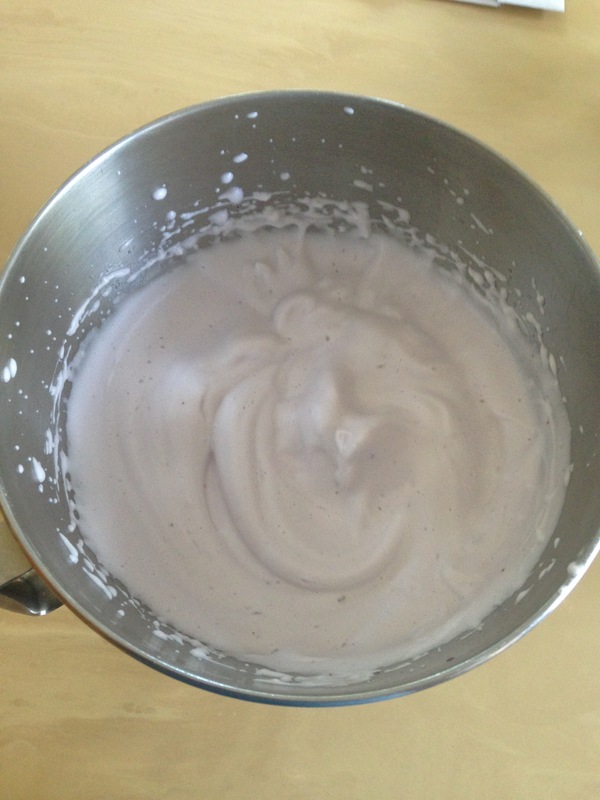 I’ve been experimenting with aquafaba and incorporating it as a egg replacement, like here: http://blog.kitchology.com/everyday-aquafaba-recipes/. ← My zine is finally done!